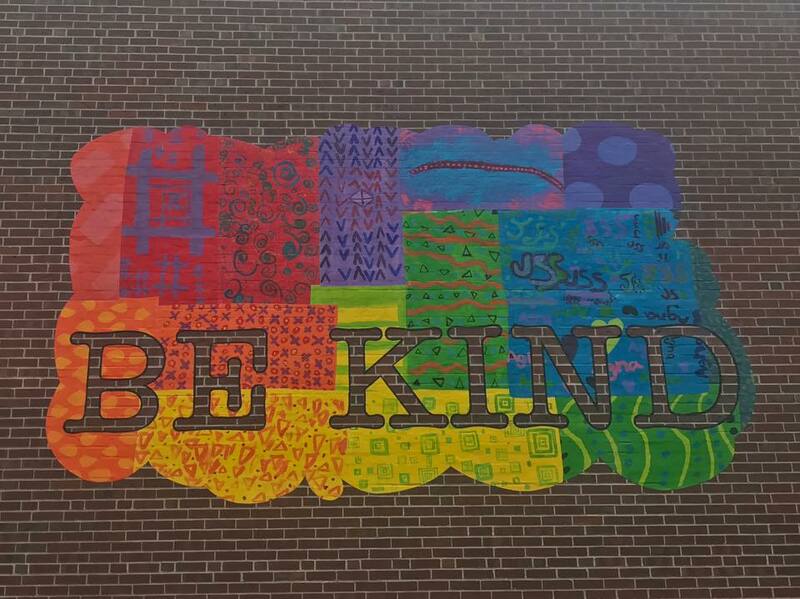 Local Mural Artist Sean Greene spent several weeks this summer working with the 5th grade students and Art Specialist teacher Brenda Lilly to create a new mural to grace the outdoor walls of Jackson Street School. Sean Greene, who lives in Florence, has been exhibiting frequently in the U.S. in galleries such as the Brian Morris Gallery in New York, and William Baczek Fine Arts and Geoffrey Young Gallery in Massachusetts, the Artisphere in Arlington, Virginia, and New Image Art in West Hollywood, among others. He received grants from the Somerville and Northampton Arts Councils, the Artists Resource Trust and recently has been awarded a Massachusetts Cultural Council Fellowship. His work is in private collections in the U.S., the U.K., Australia, and France, as well as the corporate collection of Neiman Marcus, and the University Museum of Contemporary Art in Amherst. Mr. Greene had previously worked with Bridge Street School on a mural for their playground. 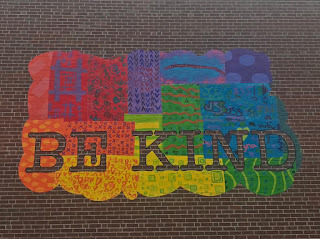 The mural could not have been created without the generous donations of supplies from Royal Talens, North America, and the generous support of the Northampton Arts Council.